With the recent release of Peter Jackson’s directorial take on The Hobbit, it’s hard not to try to imagine what drove the man who created the fantastical world of Middle Earth. The elusive answer to that question is the topic of Colin Duriez’s new biography: “J.R.R. 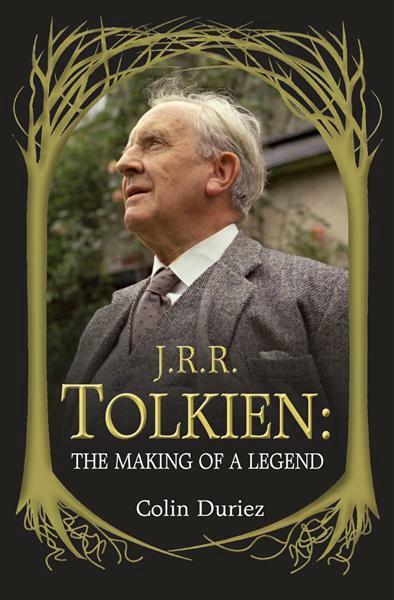 Tolkien: The Making of a Legend”. Duriez does an amazing job of weaving together the stories of Tolkien’s life with the stories he creates. For example, the farmer that chased J.R.R. Tolkien for picking mushrooms as a child, whom he and his brother nicknamed “the black ogre” (15) or of how the tale of Luthien and Beren in the Silmarillion was symbolic of Tolkien and his wife’s love (109). I appreciated the scholarship foundational to this biography, but within that, as is the case of most biographies, the book felt like a biography written by a scholar. It was in many respects a history text: not bad, but not a page-turner by any means. If you’re looking for a glimpse of Tolkien’s life, this biography is definitely a good start, but I think it’s interest is geared more toward scholars, who might do better with Duriez’s primary sources in the notes. If you're looking for a good examination of Tolkien's spiritual life, this probably isn't where you need to look either. I enjoyed reading “The Making of a Legend”, and I think a Tolkein fan would too, but probably not as much as a Tolkein scholar might. This book was sent to me for review. All opinions are my own.